Back in April we posted How to Make Money Blogging – In Six Easy Steps. That post walks you through everything that you need to know to get started making money blogging, with Step 6 being a brief introduction on how to get advertisers for your blog. In this post we are going to elaborate on that topic ( as promised 😉 ). As we mentioned in the How to Make Money Blogging post, it’s not uncommon to make $300 per month per ad for a small spot on your blog. And with 10 of those, you could be making $36,000 per year to blog! In order to get advertisers for your blog, your blog needs to have great content and a decent amount of traffic. We touched on this in Step 5 of the How to Make Money Blogging post and will expand upon it in a future post. For now, let’s assume that you have a quality blog that gets a decent amount of traffic. As with most things, it is very uncommon to have someone just approach you and hands over cash. Every business needs to sell their products or services. Just as your advertisers need to promote their products or services in order to grow sales, you need to promote and sell your advertising services in order to increase your blog’s revenue. Setting up a blog about cars and waiting for Ford to email shows great optimism but is realistically not a very strong plan. You need to go out and get advertisers to be successful. Especially when you are just starting out. How you do this is similar to selling most products or services. Find blogs similar to yours and see which companies are advertising on those blogs. Think about what products or services your readers might be interested in based on what your blog is about. Think of the products or services that you’ve blogged about in the past. Think about keywords that you target for your blog. Search for those keywords using Google and see who is advertising for them. Use Google Webmaster Tools to see what terms your blog is ranking for, then search for those terms in Google to see who is advertising on those keywords. 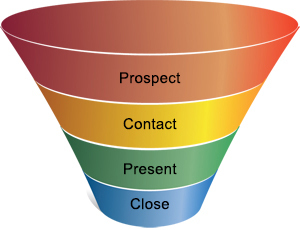 Note: If you are in the top 10 for a keyword that has a lot of advertisers on Google you can often use this as a major selling point to close the prospect. More on closing below. It’s a good idea to stay organized. Store the prospects that you have discovered in a spreadsheet or better yet, use a CRM system such as SugarCRM. These prospects are considered “cold”. This is a sales term meaning that they have not been contacted before. At this stage, your goal is to find the contact info of the person who makes decisions regarding advertising (“the decision maker”). This can often be done by reaching out to the company by phone or email. Once you have found the contact info of the decision maker, you need to present them with a proposal and typically an advertising rate card. With a quick Google search you can find examples of both. If the decision maker is interested (“hot”), you need to close the deal. This could involve having them sign a contract or just having them send you their ad and a payment through PayPal. Plan to follow up regularly to get the deal closed. Their are lots of good closing techniques but a particularly good one is to offer them a discount and let them know that it is only good until a fixed date (Friday for instance). You now know how to get advertisers for your blog. This process can be fun and exciting. Don’t get discouraged if at first you don’t succeed; there are tons of great advertisers out there. Keep in mind that Colonel Sanders was rejected 1009 times before finding a taker for his chicken recipe. Just keep adding prospects and working through the steps. Have questions or comments? Please add them to the comment section below. 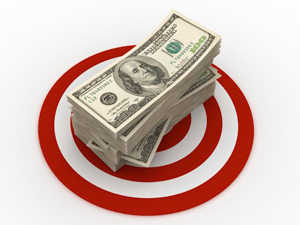 In this post I am going to show you how you can increase revenue through ad targeting. Ad targeting is the concept of showing ads based on certain sets of criteria. That criteria could be based on the user viewing the ad such as their location or browser or the criteria could be based on site variables such as the page or location on a page. In this post I’m going to be talking about the latter. Specifically, how to increase revenue to your blog by employing page targeting, zone targeting and placement targeting. Using the AdPlugg Ad Manager you can set your ads to target different ad zones. Ad Zones are regions or locations on your page such as the “top bar” or “right side bar”. By breaking your site up into zones, you create different opportunities for advertisers. For instance if you previously only had ads across the top of your site, you could add a right sidebar ad zone and a footer ad zone thereby increasing your “ad inventory”. Having and selling more ad spots will of course increase your revenue. Page targeting allows you to choose which page (or pages) on your site your ads display. While zones and zone targeting allowed us to increase our ad inventory, page targeting allows us to break our existing ad inventory up. All of these placements can target different advertisers with different advertising budgets. This will allow you to sell more ads by having ad space available for a wider variety of budgets. It will also allow you to maximize the ad revenue that each spot on your site can generate. In this post I’ve explained how to increase revenue through ad targeting. Basically we’ve increased the number of customers that you can sell to and maximized the selling price for each spot on your site. Sign up for AdPlugg today and start increasing your revenue by putting these strategies to work. If you have any questions or comments, please post them to the comment section below.